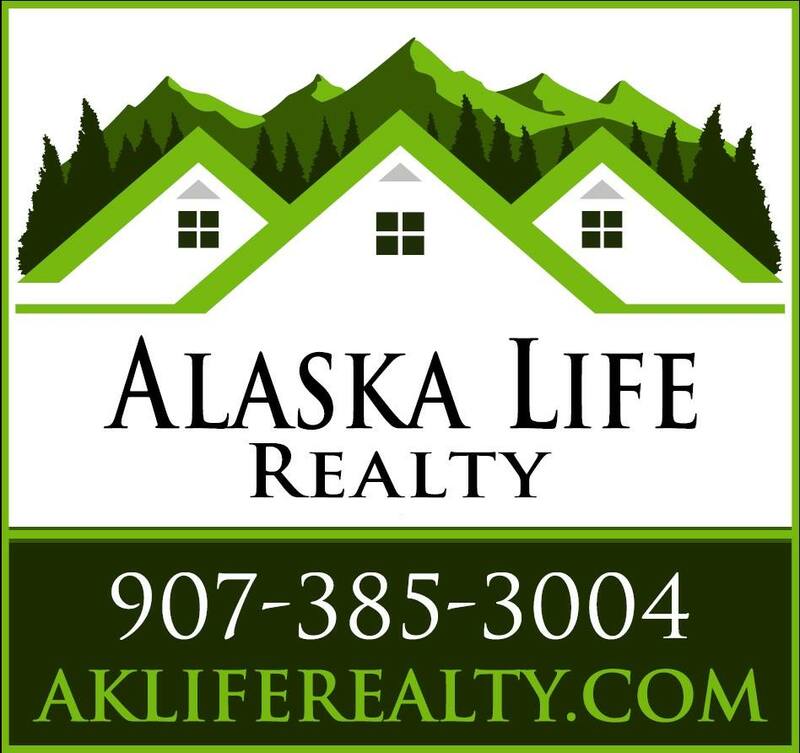 Looking for a home that has that feeling of the private life? 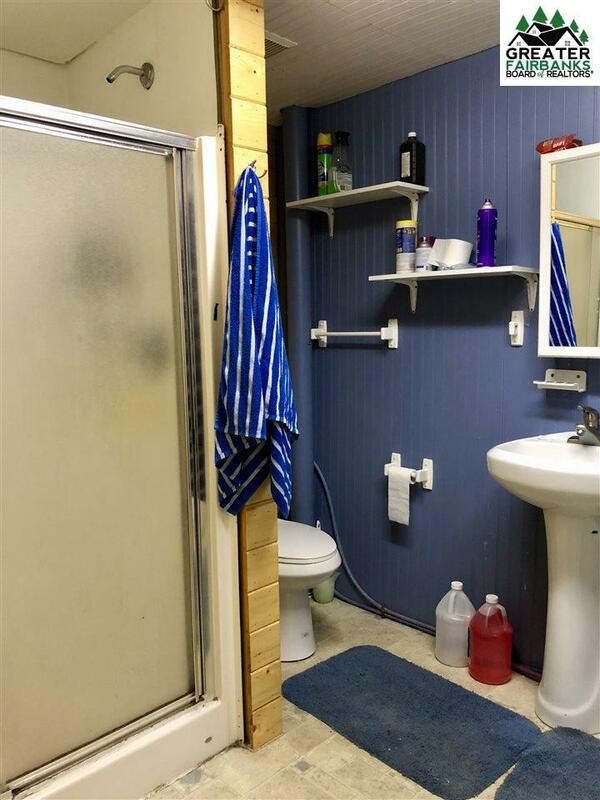 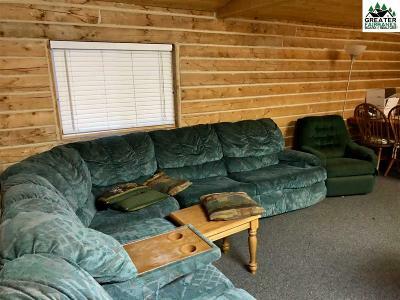 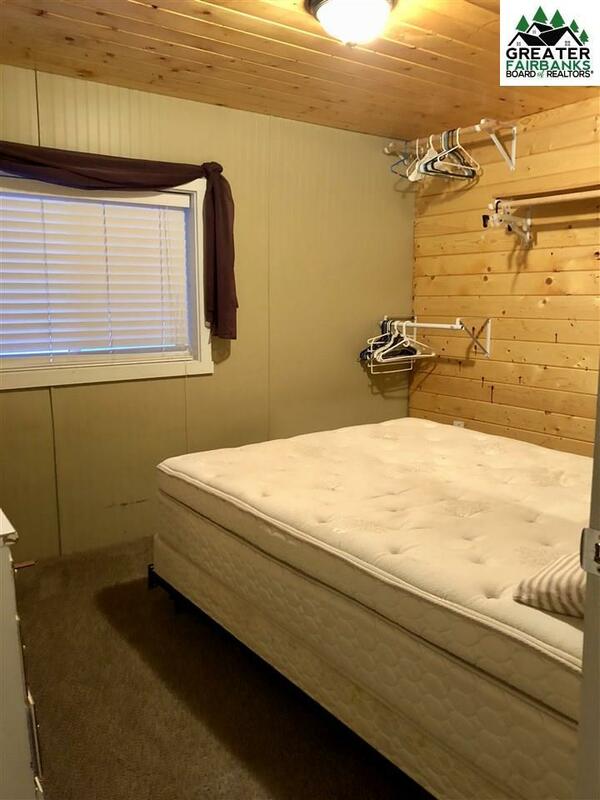 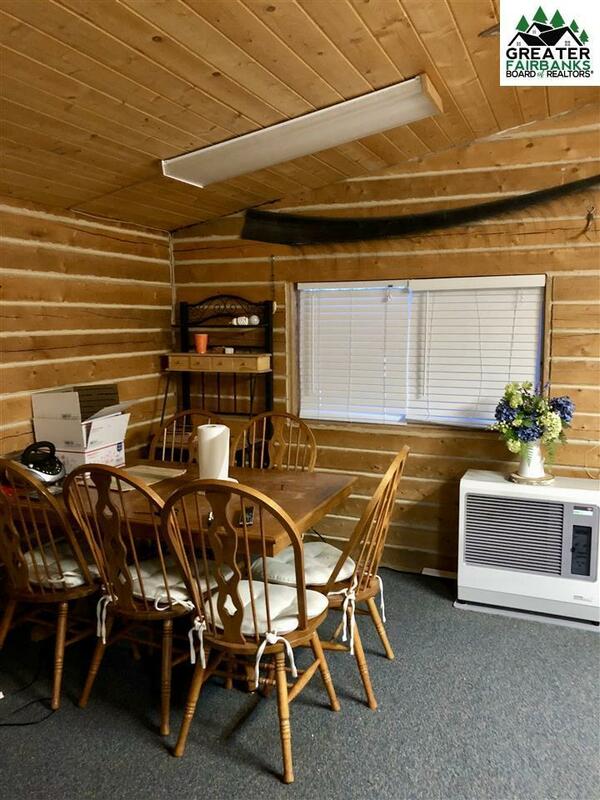 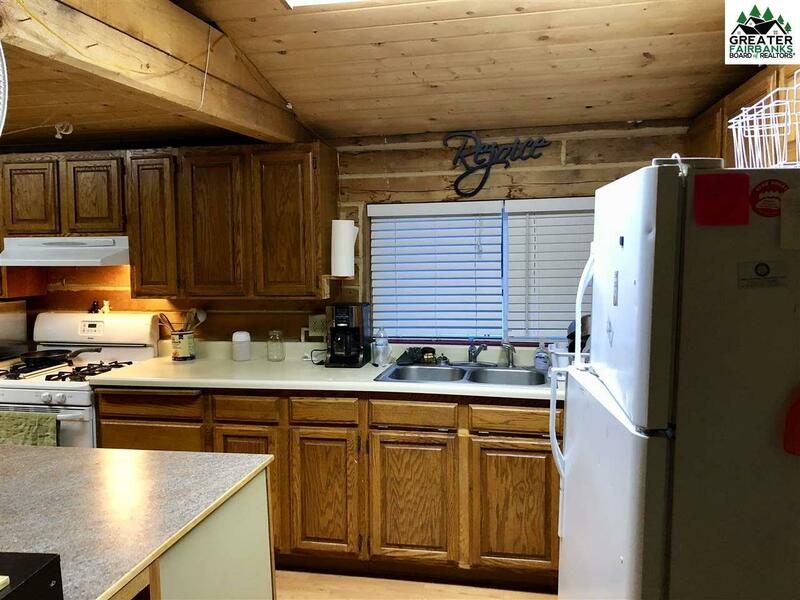 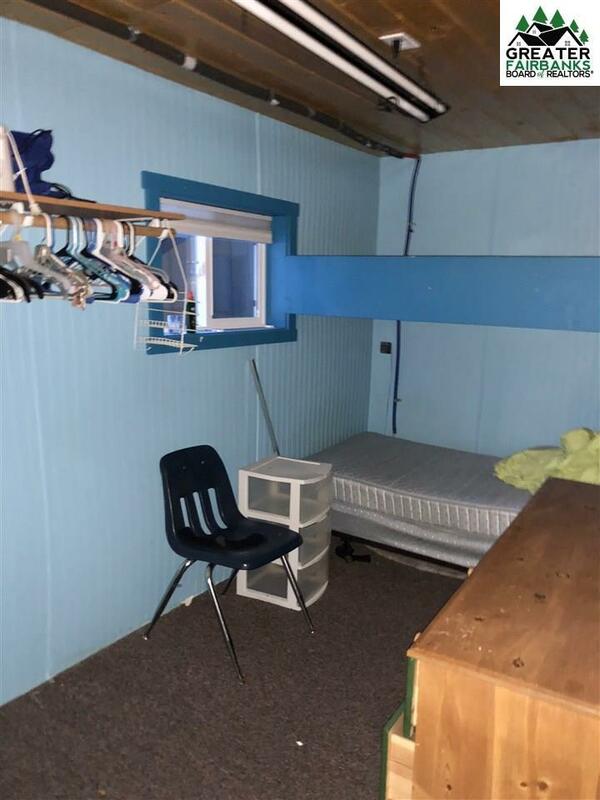 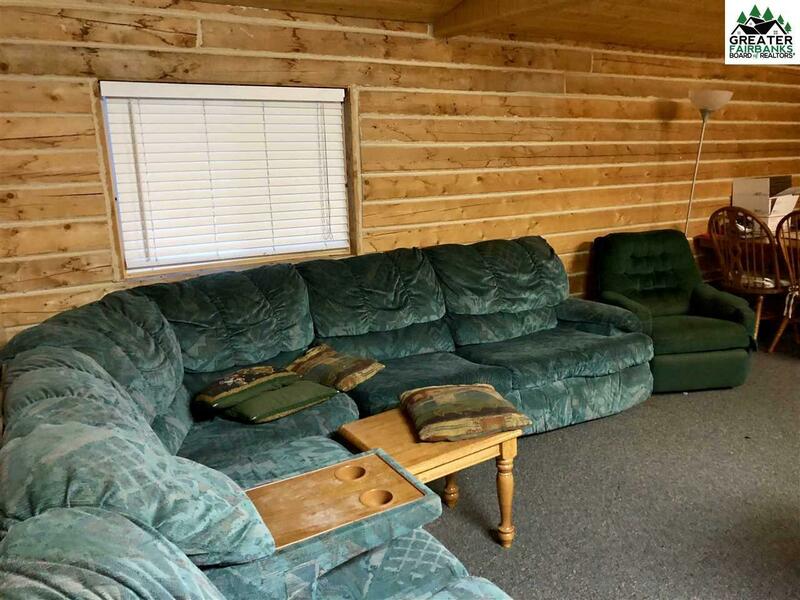 Maybe you want a cabin that you can get away to on the weekends. 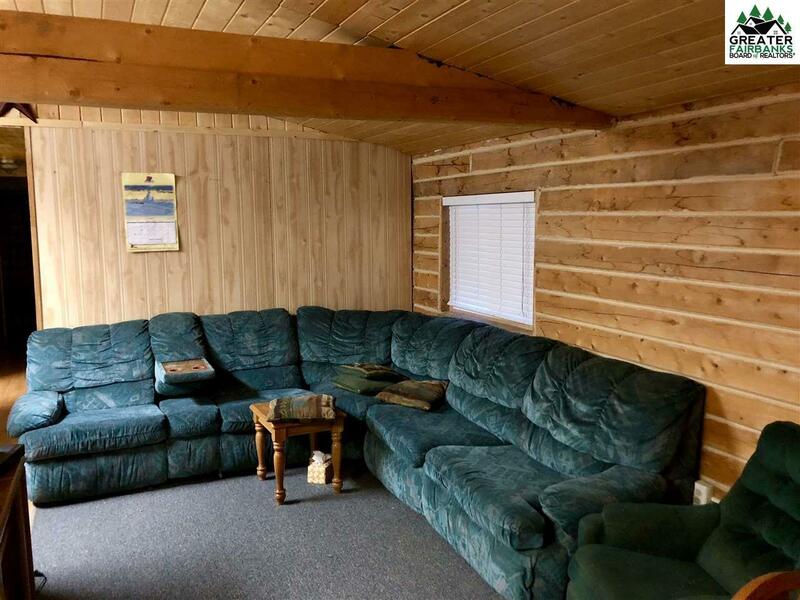 Then this cabin can solve all of your issues! 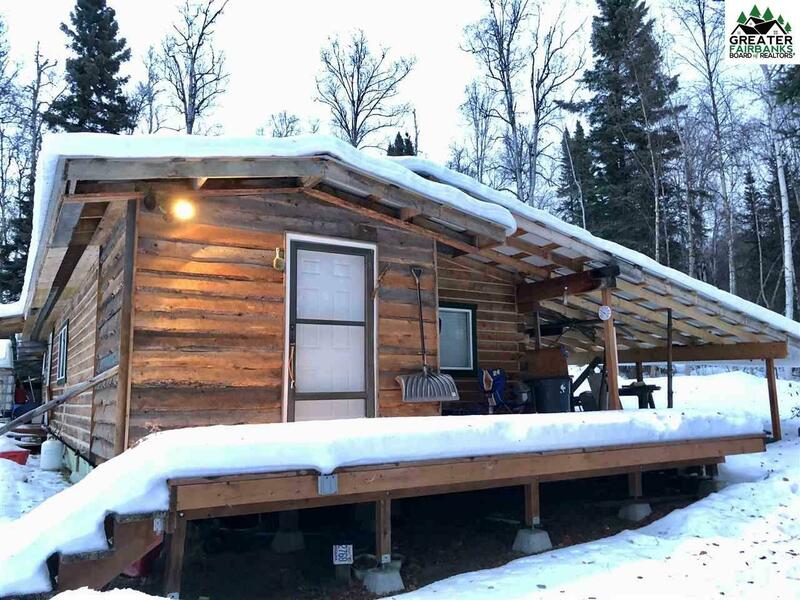 Enjoy the peaceful nature of this cabin in the woods. 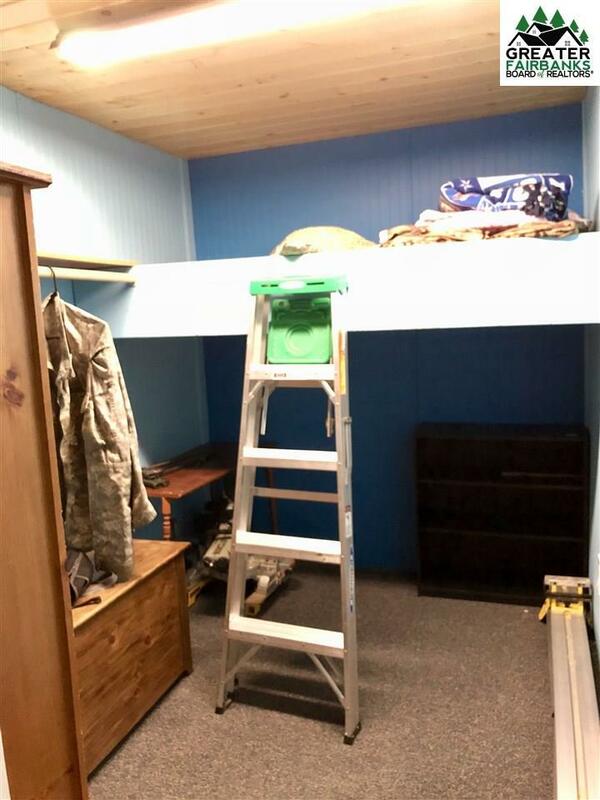 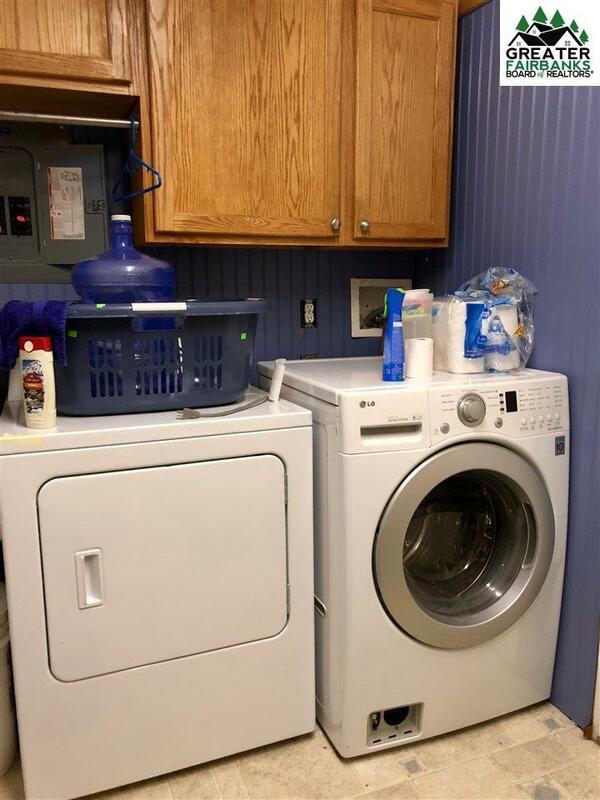 There are three/four bedrooms in the cabin, (not all have egress windows) with a full bathroom that houses the washer and dryer. The living area is laid out wonderfully with a vaulted ceiling and is open which allows it to flow. 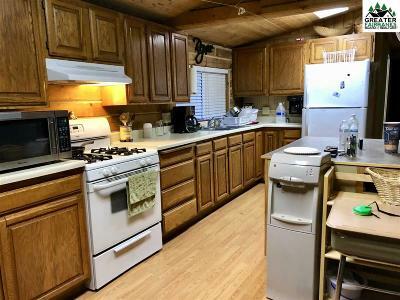 The kitchen has ample cabinetry and a full compliment of appliances. 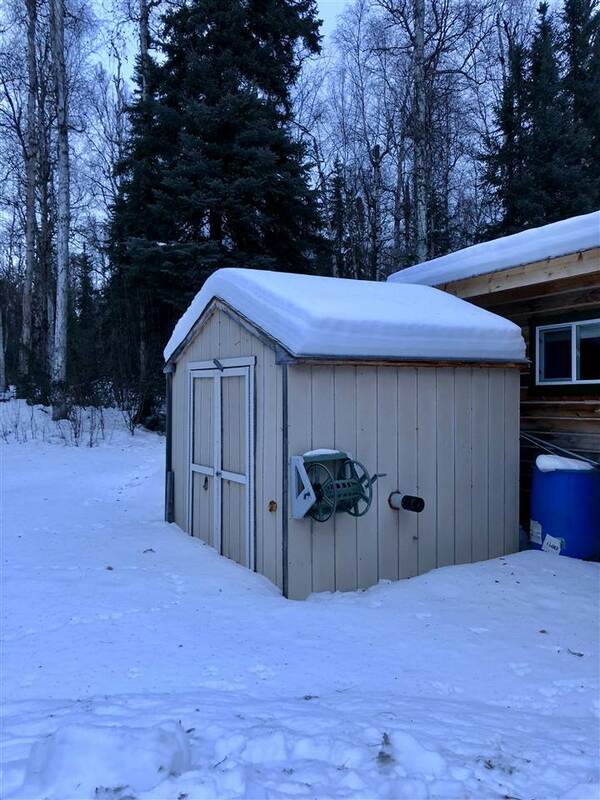 There is a 1200 gallon holding tank in a heated pump house for water, and a full septic system. 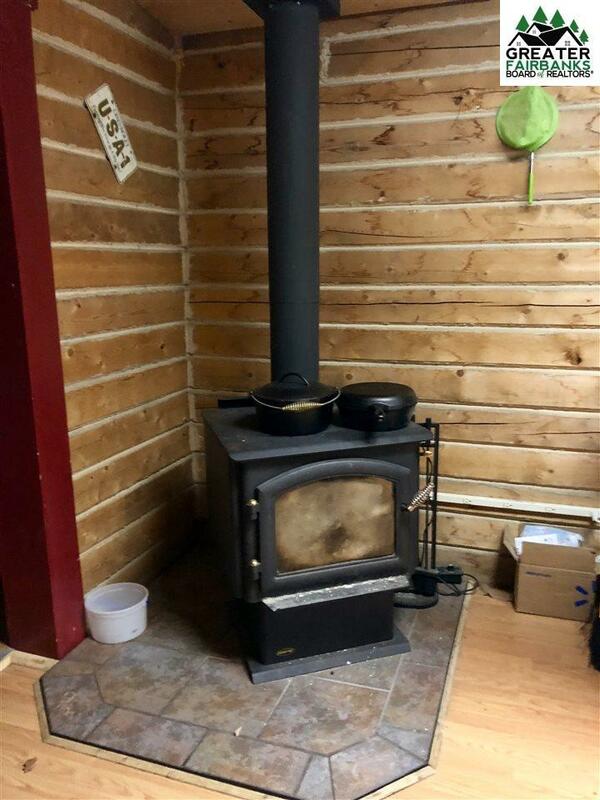 The house itself is heated from a Toyo stove, and also has a wood stove.. Outside the home there is a built on lean-to which serves perfectly for parking the toys and more. 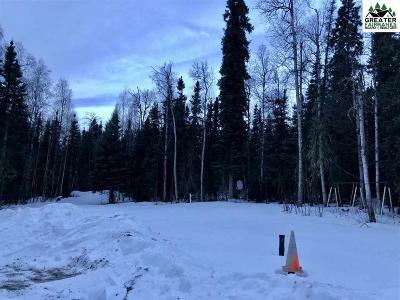 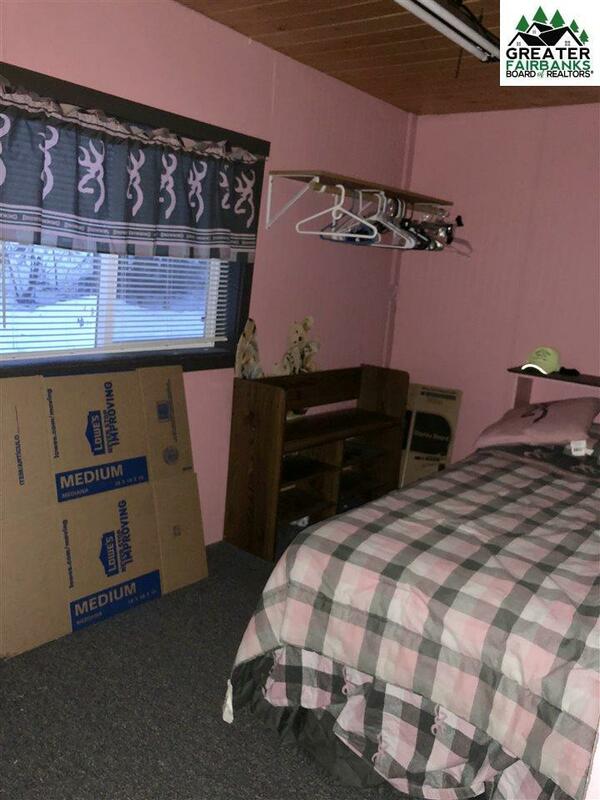 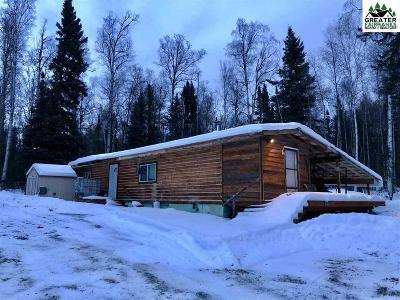 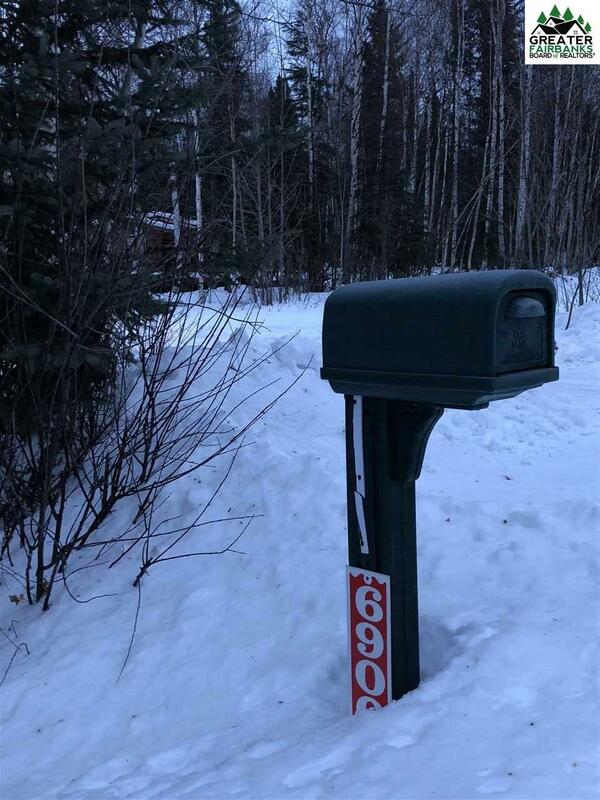 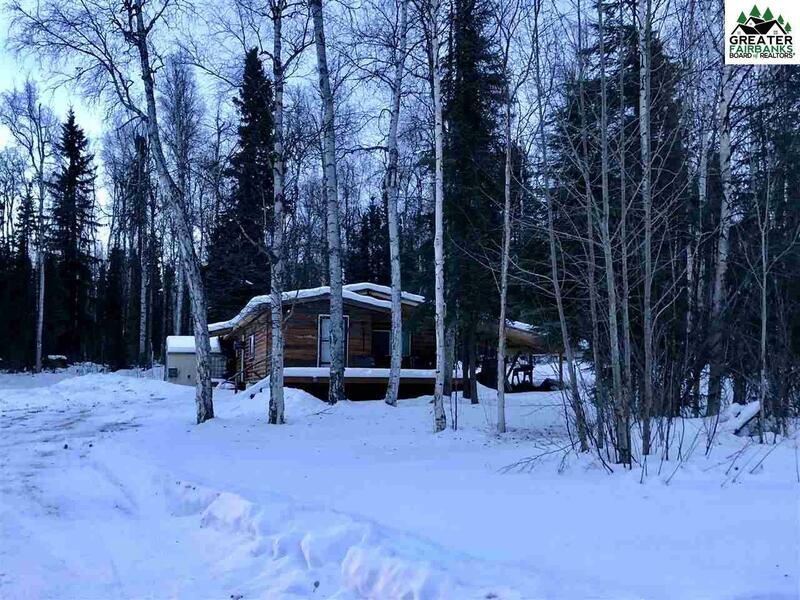 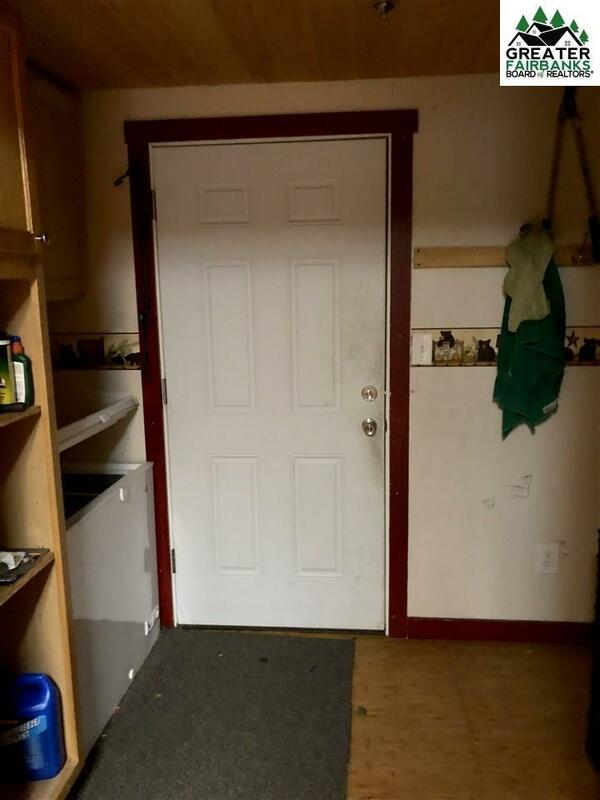 Only a few minutes from Eielson AFB, and also very close to Harding lake.